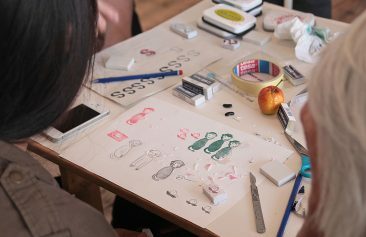 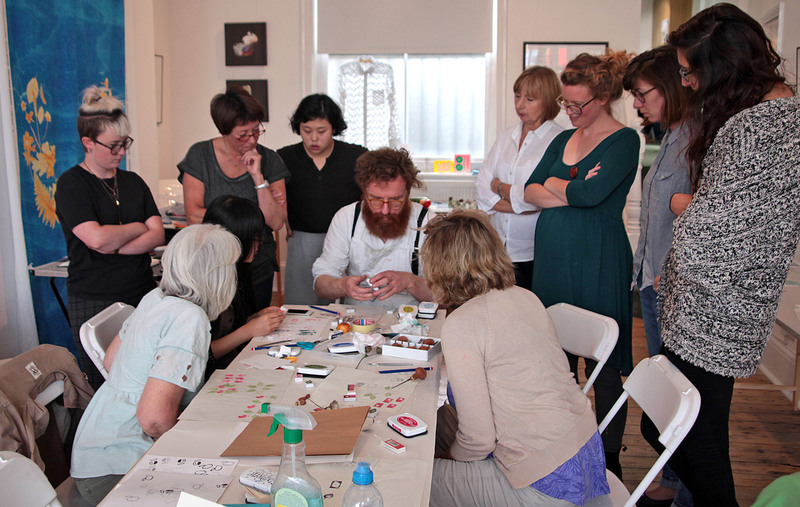 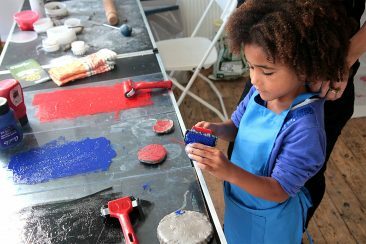 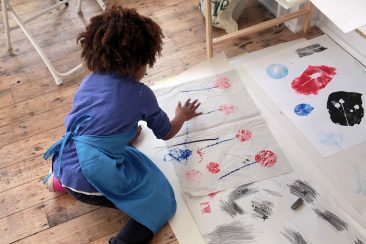 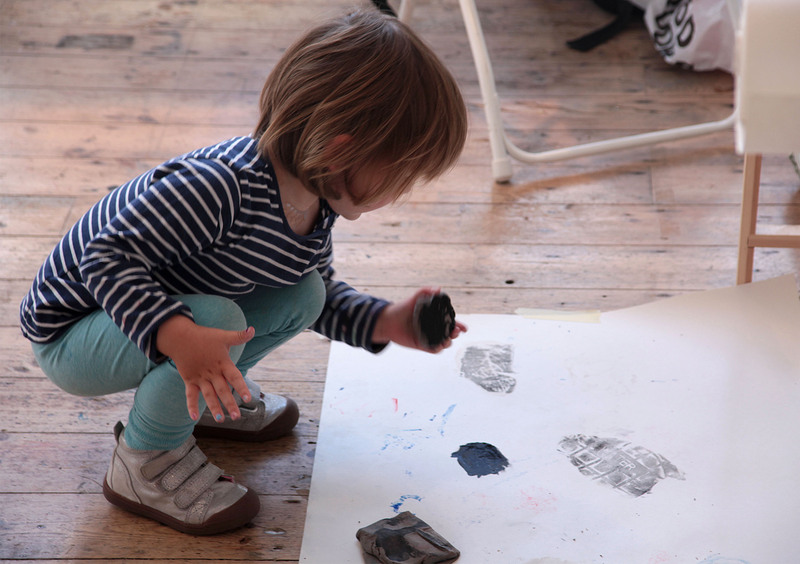 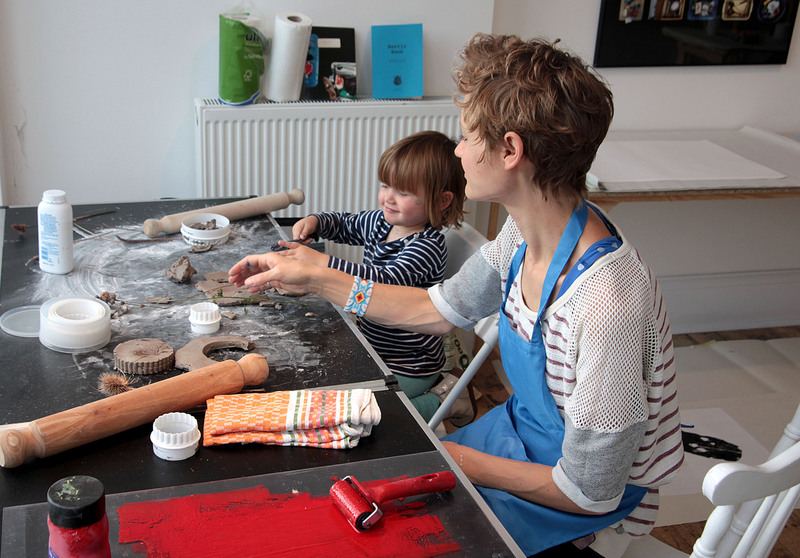 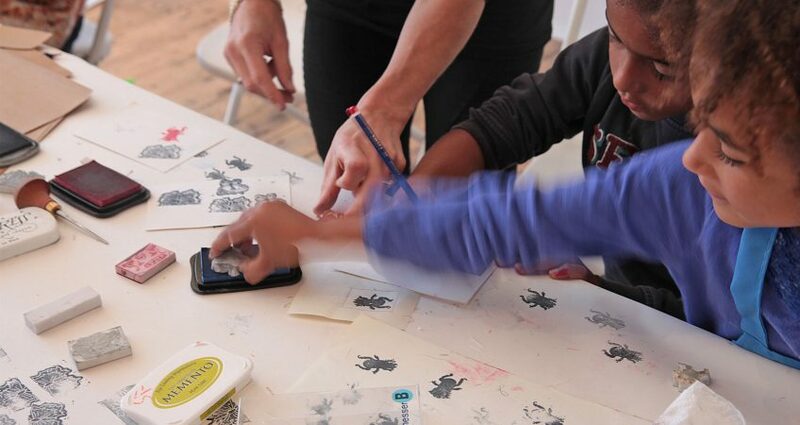 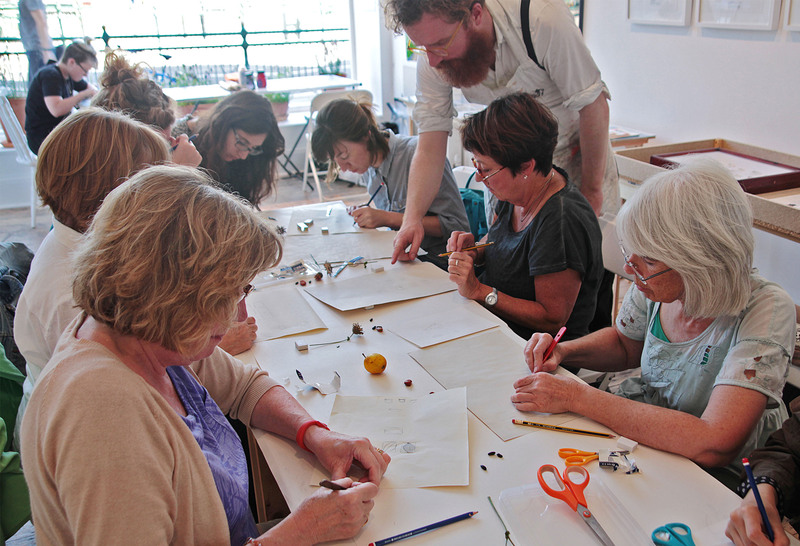 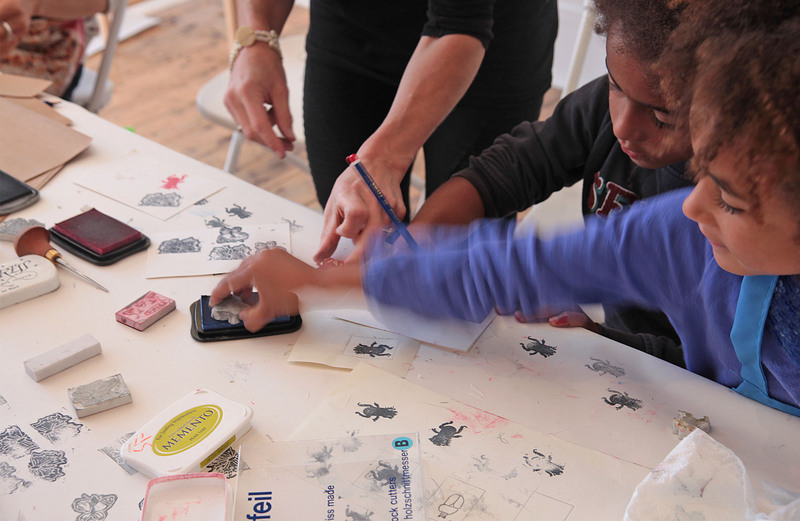 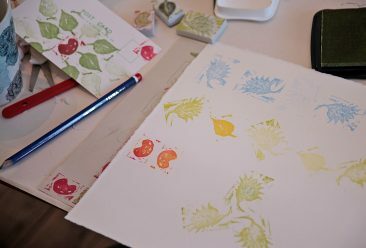 We ran a Primitive Print workshop on Saturday 12th September – one of the events we created during our Lost & Found Exhibition at the Onca Centre for Arts & Ecology . 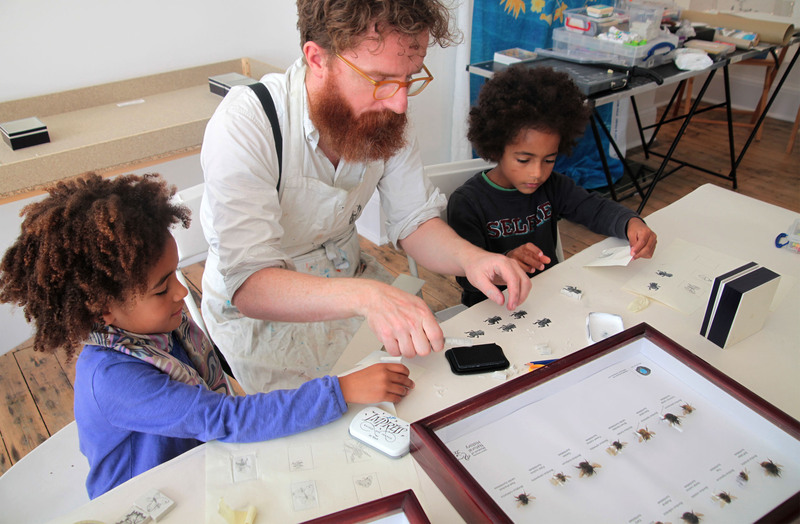 The incredible Mr Stephen Fowler lead two workshops: AM for children and PM for adults. 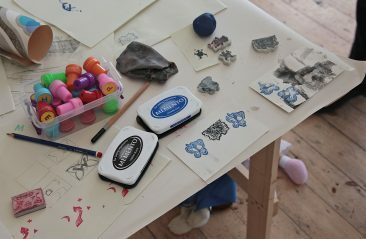 We used elements of the exhibition as source material. 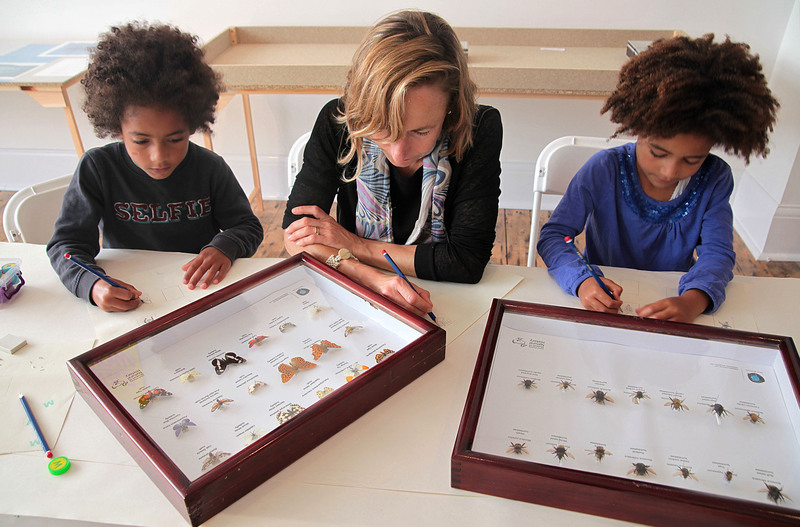 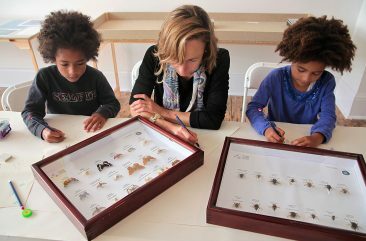 The children loved the specimens on loan from Oxford University Museum of Natural History: butterflies, moths, bumblebees and dung beetles. 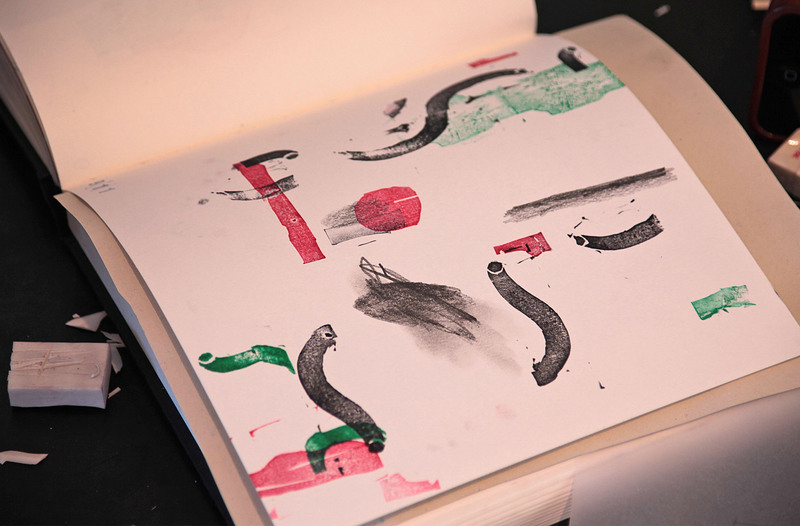 The main techniques were: Clay block – Rolled out slabs of clay are pressed on objects and textured surfaces, inked up and printed. 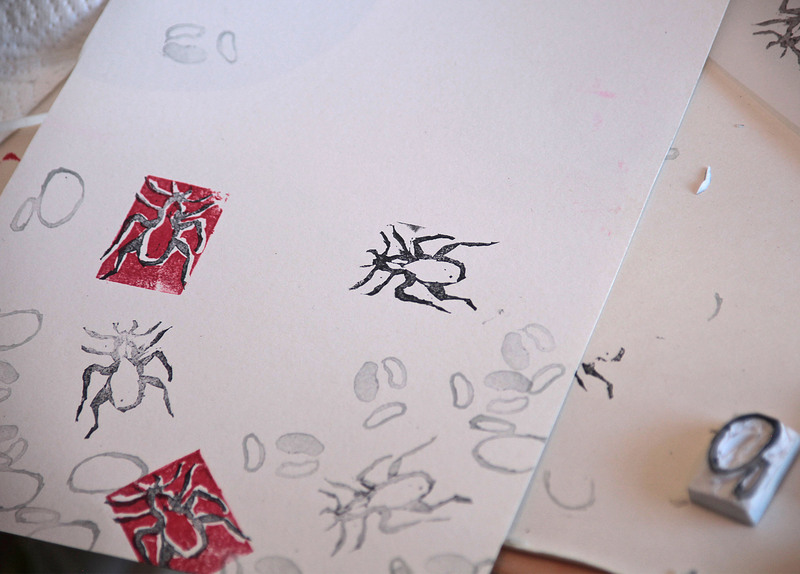 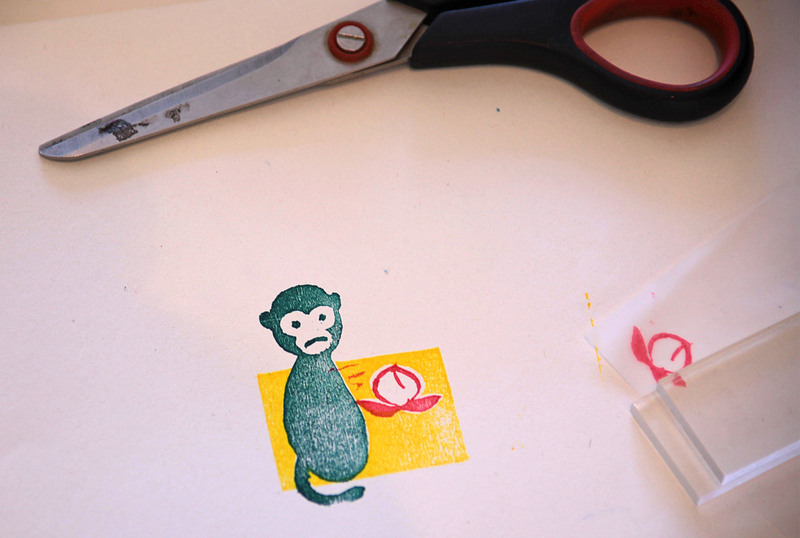 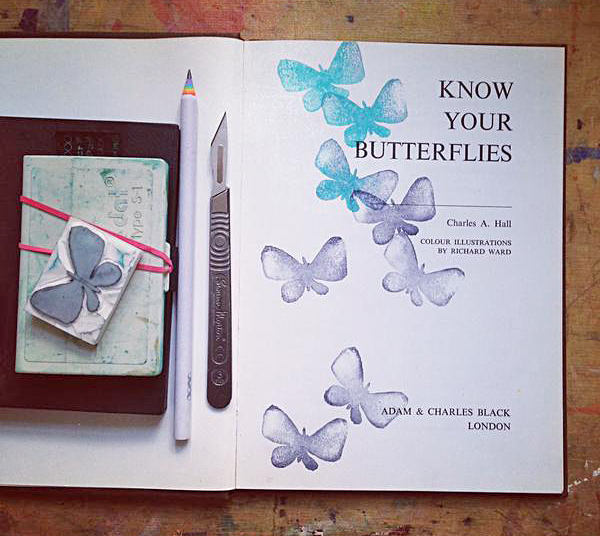 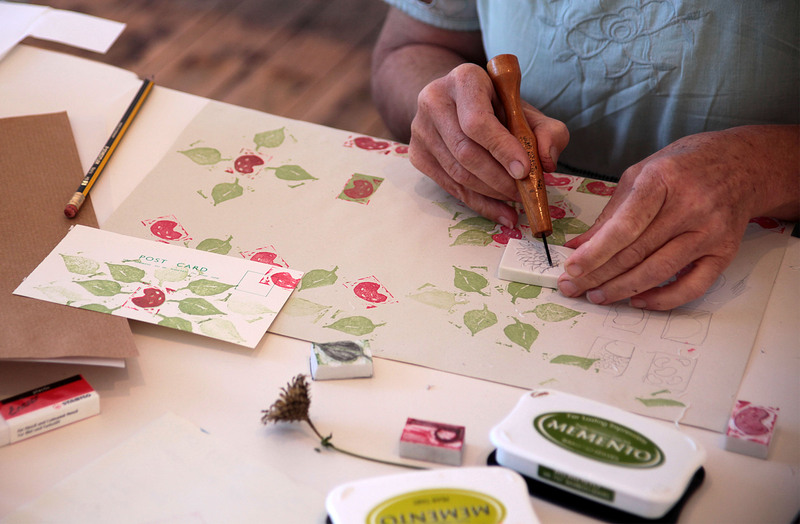 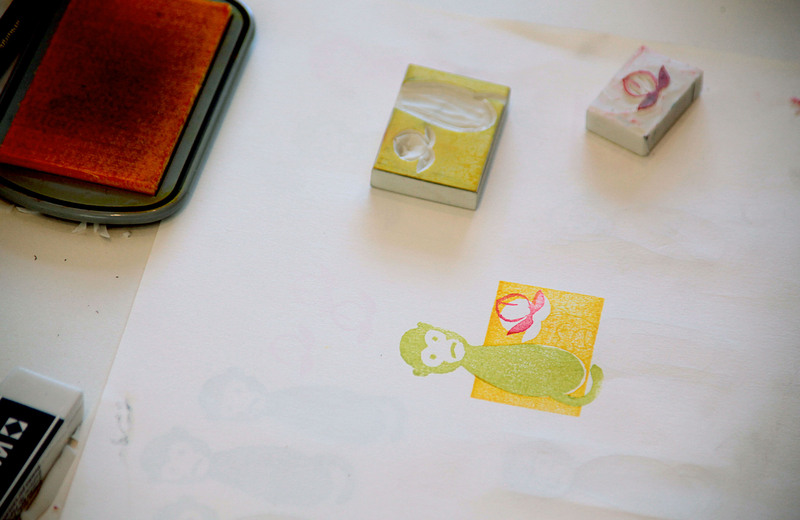 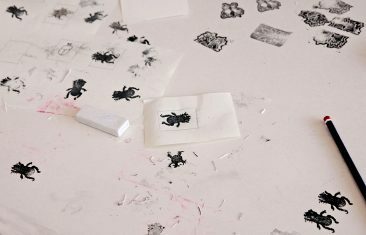 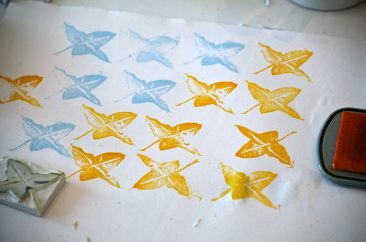 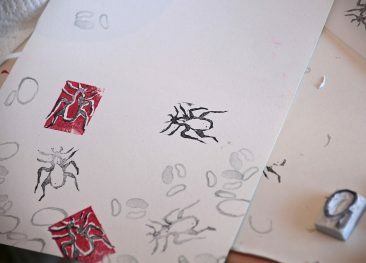 Rubber stamping – drawings are transferred onto every-day erasers and carved to create handy little stamps that can be inked and printed onto paper or postcards to make mail art.